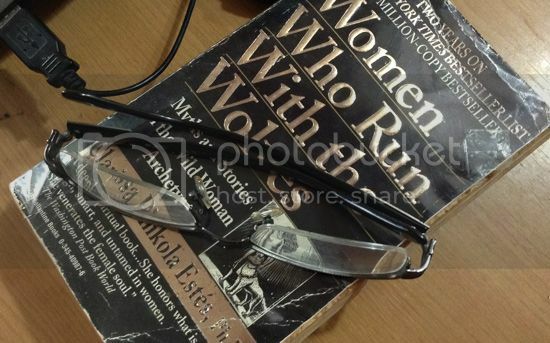 If there’s one book every woman should own or get interest in reading to- that would be Dr. Clarissa Estes’ Women Who Run With the Wolves, Myths and Stories of the Wild Woman Archetype. I was introduced to this book years ago and It has been my woman Bible ever since. I have run through all the pages of this paperback and had run out of the woods so my life will begin. But this book is so full of wisdom and fascinating stories that gets through the feminine psyche, hence, I still go back to reading random pages of it from time to time. To my fellow wolves out there, if you’re feeling you’re being cut off from your intuitive nature, read this book and see yourself reconnected with the core of your womanhood again. I’ll leave you these lines, to encourage you to pick this book the next time you see one on the shelf. The ways and means of living with the instinctive nature are many, and the answers to your deepest questions change as you change and as the world changes, so it cannot be said: “Do this, and this, in this particular oder, and all will be well.” But, over my lifetime as I’ve met wolves, I have tried to puzzle out how they live, for the most part, in such harmony. So, for peaceable purposes, I would suggest you begin right now with any point on this list. For those who are struggling, it may help greatly to begin with number ten.